The Shop Guide provides a broad range of shopping services in YYC. Knowing where to shop, how to blend the old with the new, high and low budgets, and making someone feel special is key. The Shop Guide works diligently to select gifts for companies, families, individuals, or for the next big event in your life. Gift giving is a great relationship-building opportunity that sends a message of appreciation to your key clients, suppliers, or employees. For many companies it is a large part of the marketing and public relations efforts, yet so many personal assistants and busy executives lack the time to handle gift buying. It’s usually an afterthought and sometimes a last minute purchase. 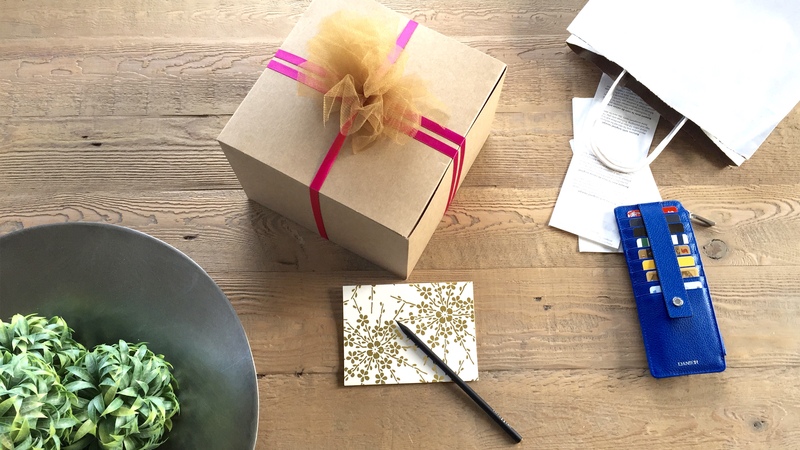 The Shop Guide will coordinate the details and select gifts that best reflect your brand. Planning an event and don’t have the time to shop for the little details? The Shop Guide takes care of researching available vendors and presents the best bids to make a quick and informed decision about what to buy and from whom in order to carry-off the event. Trends are fun, but classic and versatile pieces that are effortless can really take you anywhere. Selecting the right items really involves being tuned in to who that person is. What is your lifestyle, what is your taste and style inspiration, what concerns do you have, and most importantly – what kind of image do you want to project? The Shop Guide takes all of these answers into consideration to make you, your home, or office, look and feel great. Don’t have time to shop? This is where the digital shopping service through email consult comes in handy. It’s simple, effective, and a great long distance option to find what you’re looking for – fast! The Shop Guide will work on finding what you need and send it back to you for review. Follow The Shop Guide blog for seasonal trends or to be inspired for the next gift you need to purchase.